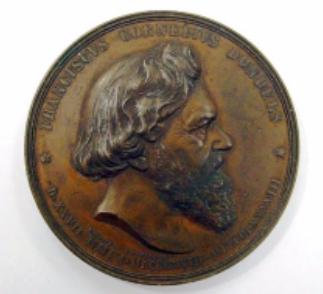 Make a gift today to preserve the history of ophthalmology. Learn about the museum and add to our collection. Are you going to be in San Francisco? Code of Hammurabi described fees for medical services including eye operations. 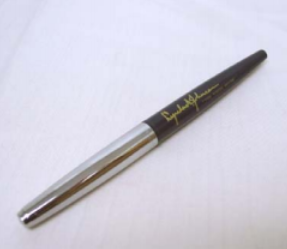 Ebers Papyrus listed 100 cures for eye diseases. Susruta Samhita listed 76 eye diseases and 51 eye operations including couching for cataract. Hippocrates (460 – 375 BCE) wrote about “glaukoma,” a light blue or green color of the iris and lens. Hippocrates (460-375 BCE) wrote about “glaukoma” from the Greek word “glaukos” meaning a light blue or green color. Sushruta wrote the first text on surgery. 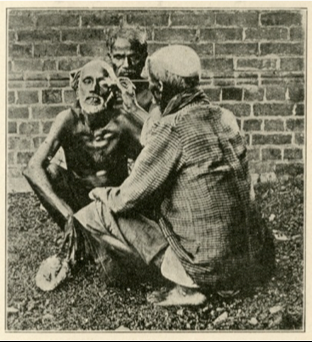 The Sanskrit manuscript describes couching of cataract. Celsus (25 BCE – 50 CE) wrote about couching for cataract. Aulus Cornelius Celsus (25 BCE - 50 CE) wrote about couching or reclination of the lens. 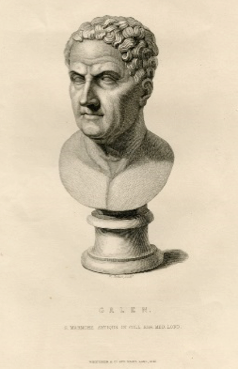 Claudius Galen (130 – 200) wrote over 100 books on medicine, including eye diseases and their treatments. Chao Yuanfang published the first Chinese medical text to specifically list eye diseases; it includes special mention of pediatric conditions. 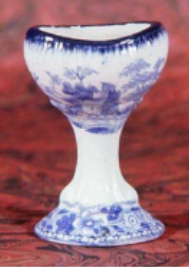 Eyeglasses first appeared in Pisa, Italy. 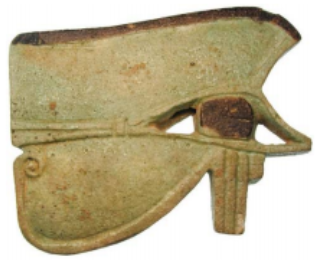 Eyecups or baths found listed in European household, possibly the earliest record of daily, personal eye care. 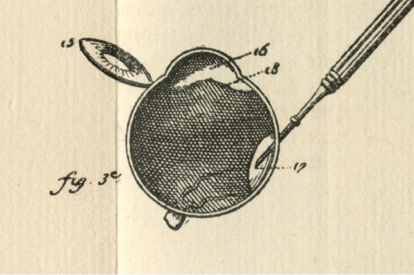 Felix Platter proposed that the lens was “the looking glass” of the eye and that the retina was the true photoreceptor. 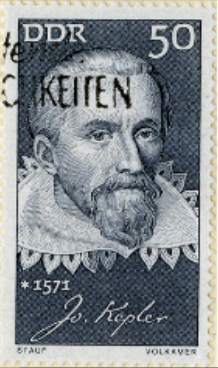 Johannes Lippershey discovered the telescope. Richard Banister of England published his observation that glaucoma was associated with a hardening of the eye. 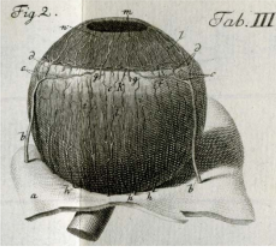 Pierre Brisseau (1631-1717) reported that cataract occurs definitively in the lens- something that had been heretofore in dispute. Antoine Maitre-Jean (1650-1725) reported that it was possible for an animal to see without its lens — hence popularizing the notion of removal of cataracts. 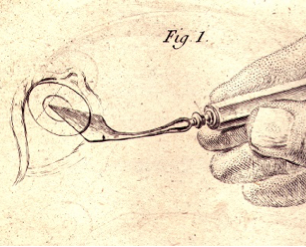 Jacques Daviel (1696-1762) was the first to perform extracapsular extraction. 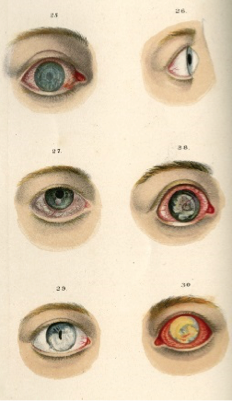 Johann Gottfried Zinn (1727-1759) published a definitive anatomy of the eye. 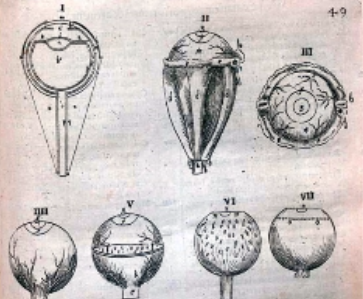 King Louis XV named Deshais-Gendron the Chair of the world’s first ophthalmology department. 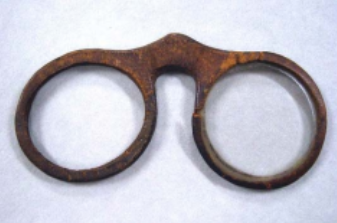 Benjamin Franklin invented bifocal eyeglasses. 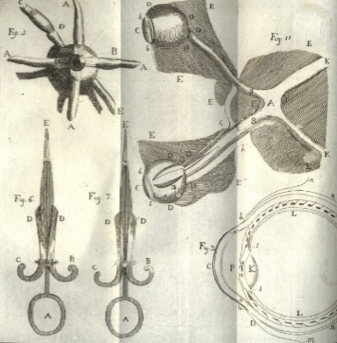 George Joseph Beer (1763-1821) introduced intracapsular extraction. 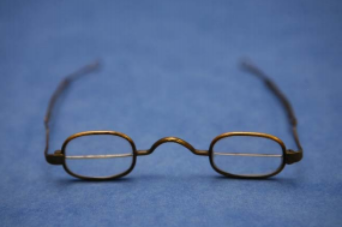 Thomas Young (1773-1829) discovered astigmatism and was the first to map the normal field of vision. 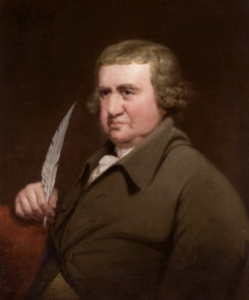 John Cunningham Saunders (b.1773) established the world’s first public eye hospital, the Royal London Ophthalmic Hospital (Moorfields). 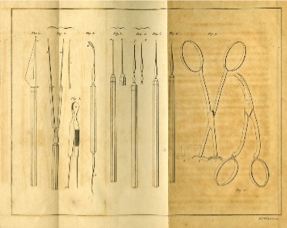 George Joseph Beer (1763-1821) describes iridectomy. 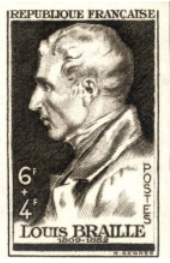 Louis Braille (1809-1860) invented an alphabet of raised dots to aid the blind. John Isaac Hawkins (1772-1855) invented trifocal lenses. William MacKenzie, MD published the symptoms and signs of glaucoma, advocating the sclera punch to relieve intraocular pressure. Wills Eye Hospital started the first US eye residency program. 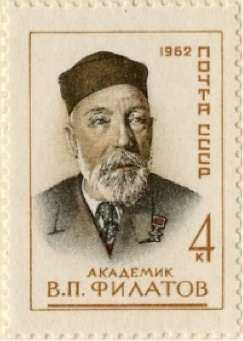 T. Konigshofer experimented on animals with the lamellar graft and described using a double knife. Hermann von Helmholtz (1821-1894) demonstrated the ophthalmoscope. 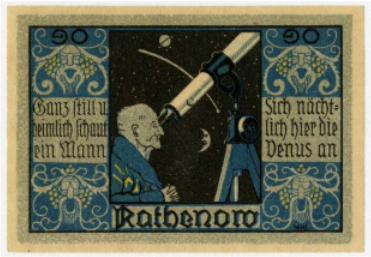 Herman von Helmholtz (1821-1894) demonstrated the ophthalmoscope. Frans Cornelis Donders (1818-1889) described pigmentary retinopathy. 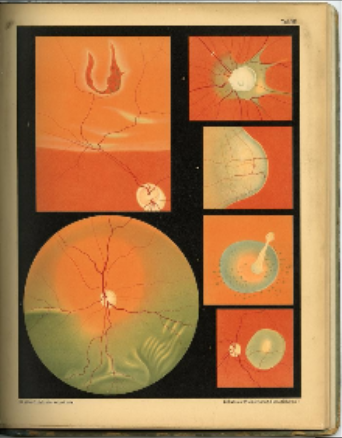 Ernst Adolph Coccius (1825-1890) described retinal detachment. Hermann von Helmholtz (1821-1894) demonstrated the keratometer. 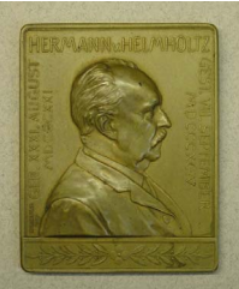 Hermann von Helmholtz (182-1894) demonstrated the keratometer. Albrecht von Graefe (1828-1870) reported successful treatment of congestive glaucoma using iridectomy. Carl Forster introduced the first perimeter. 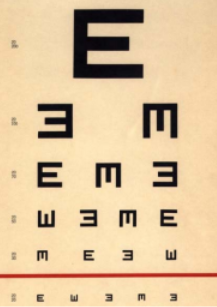 Hermann von Snellen (1834-1908) created a test card for visual acuity. 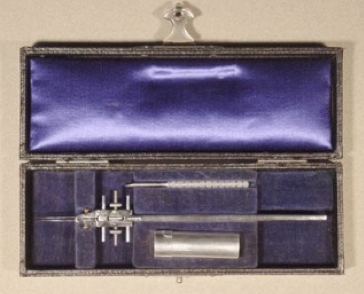 Frans Cornelis Donders (1818-1889) developed the first tonometer, or instrument to measure intraocular pressure in his lab between 1863 and 1868. 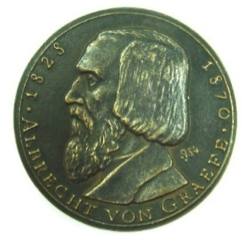 Albrecht von Graefe (1828-1870) introduced the small incision surgery. Weber noted the effect of an extract of calabar bean which lead to the development of pilocarpine. Henry Willard Williams (1831-1895) introduced sutures to cataract surgery, also first to use ether anesthesia. Isabel Hayes Chapin Barrows (1845-1913) was the first woman to study ophthalmology at the University of Vienna and the first woman ophthalmologist to practice in the US. 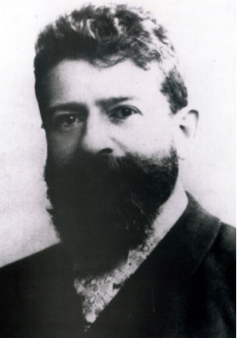 F. Monoyer (1836-1912) suggested that lenses be marked with their dioptric power, standardizing spectacle manufacture. Willy Kuhne (1837-1900) demonstrated that visual pigments regenerate in the dark, the first clue to how the visual cycle works. 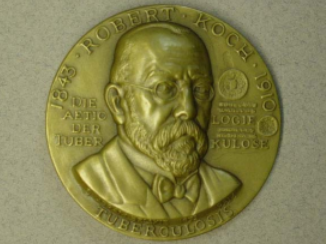 Robert Koch discovered Haemophilus aegyptius or Koch‐Weeks bacillus, the cause of acute conjunctivitis. Julius von Michel determined Mycobacterium tuberculosi was the cause of uveitis. Carl Koller (1857-1944) introduced topical anesthesia. 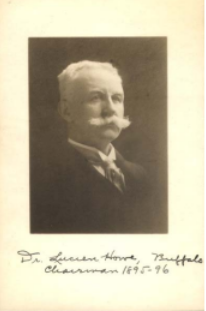 Henry Power (1829-1911) advocated that for consistent successs, only human corneal tissue could be used for keratoplasty. F.E. 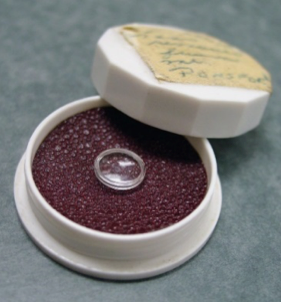 Muller created first hard contact lenses. August Wagenmann (1862-1955) proved that full thickness corneal grafts could heal transparently in rabbits. New York State passed the Howe Law, mandating the use of silver nitrate in newborns to fight ophthalmia neonatorum. 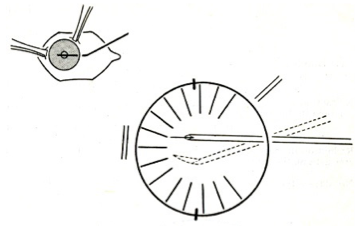 Alexi Maklakoff introduced his tonometer. American Academy of Ophthalmology founded, originally named the Western Ophthalmological, Laryngological and Rhinological Association. United States instituted mandatory eye exams for trachoma at all immigration centers; anyone found to have the disease is refused entry. Eduard Zirm (1887-1944) performs first successful, full thickness corneal transplant on a human patient utilizing a human donor cornea from a recent enucleation. 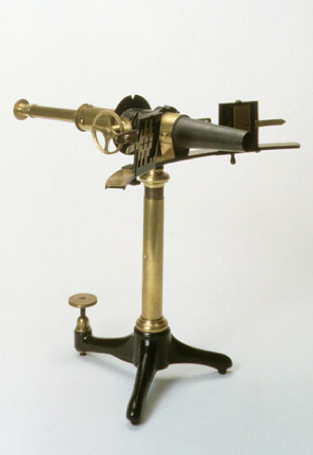 Hjalmar Schiötz (1850-1927) introduced his tonometer. Allvar Gullstrand (1862-1930) awarded the Nobel Prize in Physiology or Medicine for his work on the dioptrics of the eye. American Board of Ophthalmology established, the first medical specialty board in the US. 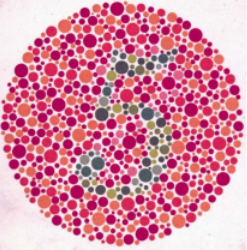 Shinobu Ishihara (1879-1962) published his definitive color vision test. 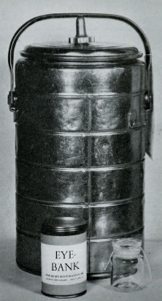 Ignacio Barraquer introduced the erisophake, an instrument that would suction out cataracts. 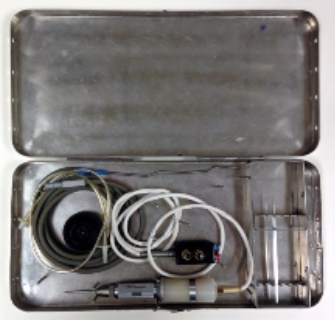 Jules Gonin, MD (1870-1935) introduced cautery for scleral resection. Friedrich Dimmer published the first fundus photographs. Marc Amsler (1891-1968) introduced the Amsler grid for detection of macular degeneration. 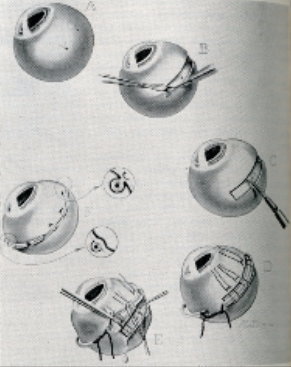 Vladimir Filatov (1875-1956) performs first successful, full thickness corneal transplant using preserved human corneal tissue (cadaver donor). Lord Edgar Douglas Adrian (1889-1977) received the Nobel Prize in Physiology or Medicine for his work in the electrophysiological activity of the brain, visual cortex and optic nerve. Ramon Castroviejo introduced his double knife at the Annual Meeting of the American Academy of Ophthalmology and began a campaign for people to will their corneas to science. 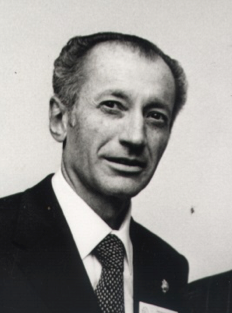 Otto Barkan, MD popularized gonioscopy. Norman McAlister Gregg linked congenital cataract and rubella infection of the mother in the first trimester. 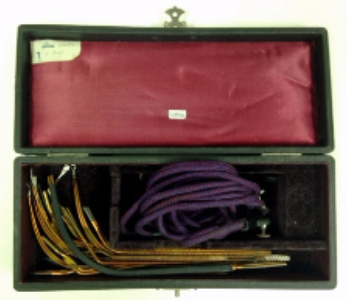 R. Townley Paton founded the first eye bank: The Eye Bank for Sight Restoration. 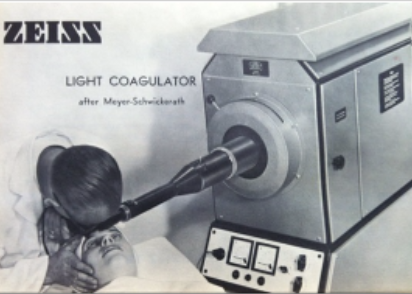 Gerd Meyer-Schwickerath, MD (1920-1992 ) began to experiment with light photocoagulation. 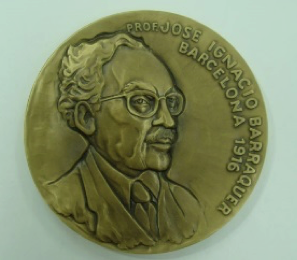 Jose I. Barraquer (1916-1998) invented a microkeratome and performed first myopic keratomileusis (MKM). 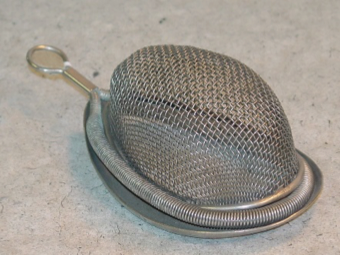 Ernst Custodis, MD (1898-1990) reported on the successful use of the segmented sclera buckle while Henricus J.M. Weve demonstrated the sclera stitch. Helenor Campbell Wilder Foerster (1895-1998) of the Armed Forces Institute of Pathology documented nematode infections in the eye. Tsutomu Sato (1902-1960) invented a microkeratome and performed first radial keratotomy (RK) for myopia. 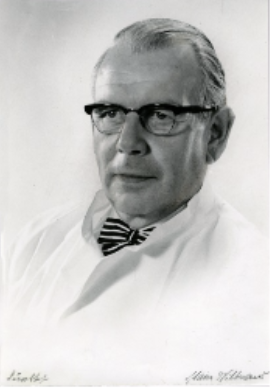 Sir Nicholas Harold Lloyd Ridley (1906-2001) performed the first intraocular lens implant (IOL). Hans Goldmann, MD introduced his tonometer. Drs. 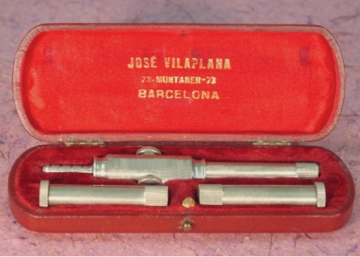 H. Harms and Joaquin Barraquer adapted the Zeiss optical microscope for use by physicians during eye surgery. T’ang and colleagues in China were the first to culture Chlamydia trachomatis and confirmed it was bacterial. Joaquin Barraquer introduced enzymatic zonulolysis. 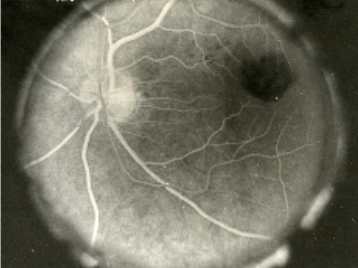 David Alvis and Harold Novotny performed the first fluorescein angiography. 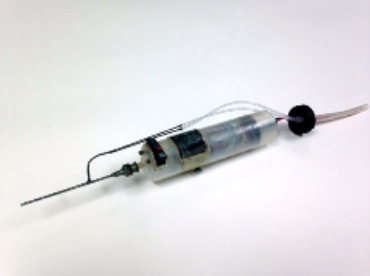 Harold Novotny and David Alvis produced the first fluorescein angiogram. 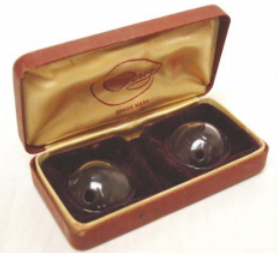 Otto Wichterle created first soft contact lenses. Charles Campbell and Charles Koester reported the first human ophthalmic laser treatment for a retinal tumor. Tadeusz Krwawicz (1910-1990) introduced cryoextraction. Charles Campbell and Charles Koester reported the first human ophthalmic laser treatment for retinal tumor. 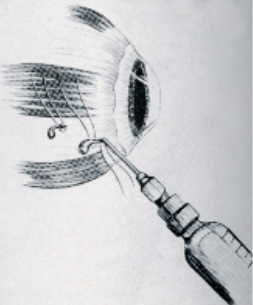 Paul A. Cibis, MD (1911-1965) demonstrates the injection of silicone oil for the treatment of retinal detachment. Drs. 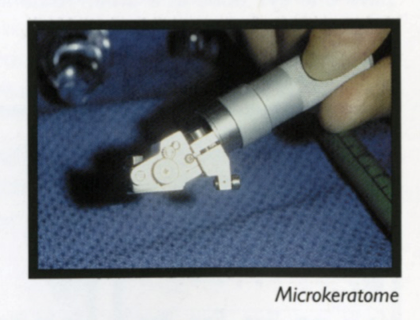 Harvey Lincoff and John McLean describe cryosurgery for the treatment of retinal detachment. 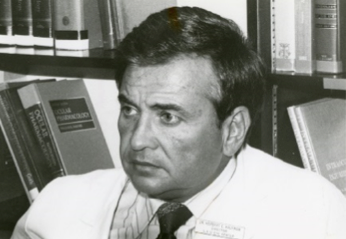 Jose I. Barrraquer (1916-1998) introduced the lamellar keratectomy surgery method of cryolathe keratomileusis. Ragnar Granit (1900-1991), Haldan Hartline (1903-1983) and George Wald (1906-1997) were awarded the Nobel Prize in Physiology or Medicine for demonstrating the primary neural organization of the retina and the role of vitamin A.
Charles Kelman, MD (1930-2004) introduced ultrasound or phakoemulsification. William B. Snyder, MD introduced laser iridotomy. United States established the National Eye Institute. L’Esperance conducted the first human trial utilizing an ophthalmic laser treatment. 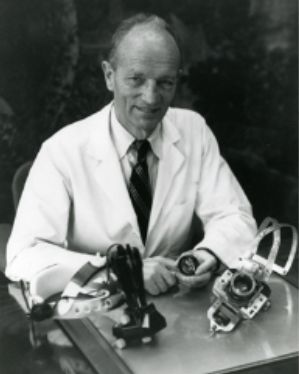 John Cairns, MD introduced trabeculectomy. 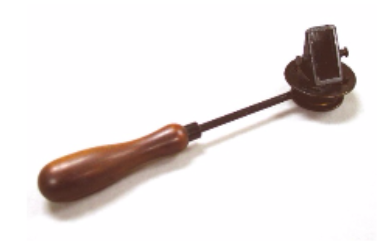 Robert Machemer, MD (1933-2009) demonstrated the first practical suction vitrectomy instrument for the treatment of retinal detachment (VISC I). 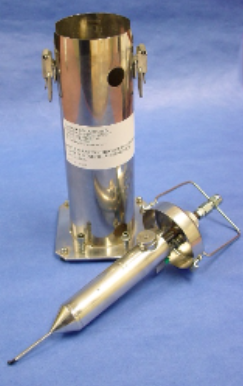 First commercial VISC instrument with fiber optics for illumination developed by Robert Machemer, MD (VISC VII), manufactured by Klein. Timolol maleate introduced to the market. 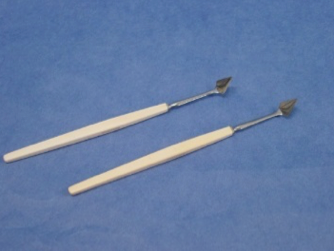 Herbert Kaufman and Theodore Werblin introduced aphakic epikeratoplasty. David Hubel (b.1926) and Torston Wiesel (b.1924) jointly received the Nobel Prize in Physiology or Medicine for their work demonstrating how visual information is coded in the retina and brain. 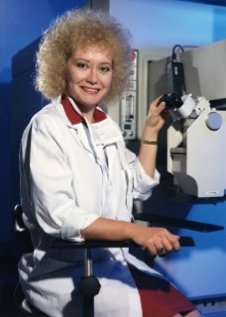 Marguerite McDonald, MD first uses excimer laser to perform PRK on humans. LASIK surgery developed by Drs. Lucio Buratto and Ioannis Pallikaris. Dimitri T. Azar, MD first performed a procedure he called “alcohol-assisted flap PRK” also known as LASEK. Prostaglandins introduced to the market. 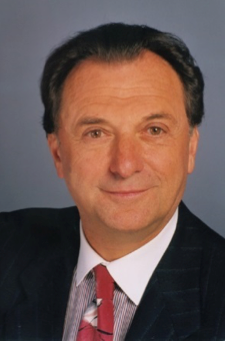 Theo Seiler, MD performed the world's first wavefront-based laser treatment. 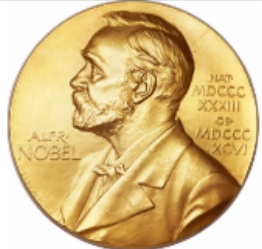 William Campbell and Satoshi Omura received one half of the Nobel Prize in Physiology or Medicine for their work leading to a therapy for onchocerciasis, also known as river blindness.